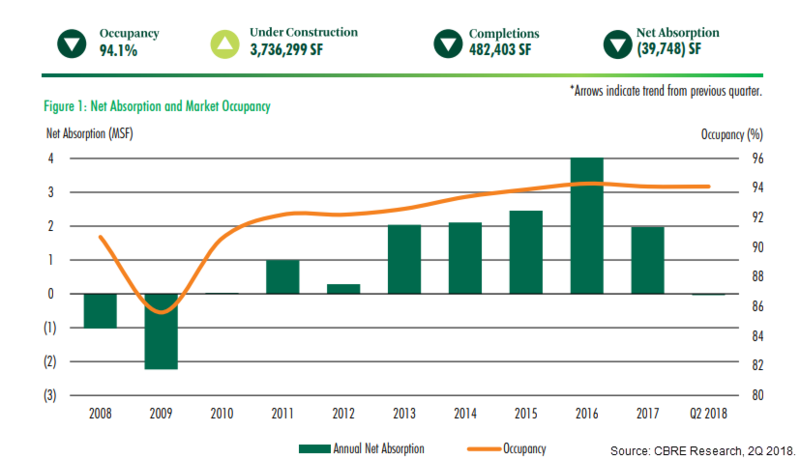 ​​​​HOUSTON – CBRE has released its 2Q 2018 Houston Retail MarketView report. Rents are on the rise, occupancy levels stand at around 94 percent, and there are over 3.7 million sf under construction as developers rush to keep up with demand. For the 12-months ending April 2018, Houston rose to fourth place for total jobs gained, just behind Dallas/Fort Worth, New York, and Los Angeles. The Bayou City added more than 85,000 new payrolls during that time, at a growth rate of 2.8 percent annually. Braving a myriad of grocery competitors, El Rancho is ardently wooing the region’s nearly 2 million Hispanic consumers, which account for 42 percent of the overall Houston metro population and boast a combined spending power of over $54 billion a year. ​See Houston-The Woodlands-Sugar Land Retail Market Research​ ​for other sources data.